Ghostshrimp and Santino Lascano are Adventure Time’s background designers, Martin Ansolabehere and Sandra Calleros are the painters. Nick Jennings is the art director, while Pat McHale is the creative director. Adventure Time’s character designers are Phil Rynda, Tom Herpich, and Natasha Allegri. The color stylists are Catherine Simmonds and Ron Russell. Nick Jennings is the art director and Pat McHale is the creative director. There have been quite a few versions of the show’s main title. Here’s the latest. 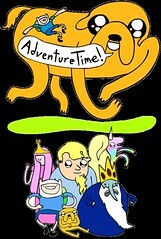 No, the THX thing will not be there, and, yes, that’s Pendleton Ward singing. 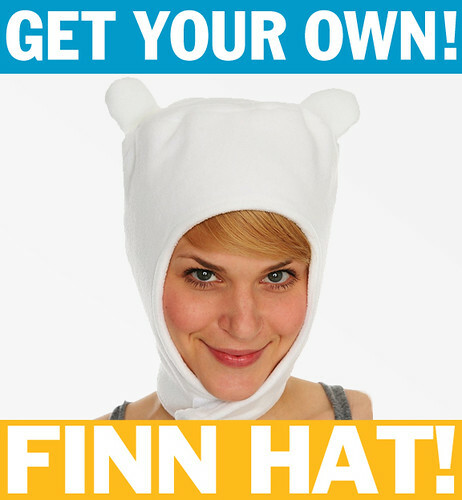 … but not before he convinces Finn and Jake to throw him a manlorette party. The episode is “When Wedding Bells Thaw” and stars Jeremy Shada as Finn, John Di Maggio as Jake, and Tom Kenny as the Ice King. And that’s Reno 911!’s Kerri Kenney as the Ice King’s betrothed. The status? Pen and the gang have pretty much completed “The Enchiridion” and “Prisoners of Love”, with only the episodes’ title cards to be completed. I’m sure those cards will be a big hit when we post them; Steve and the crew’s Fanboy title cards are super popular. That’s the update. The next episodes to be finalized are “Ricardio the Heart Guy” and “Evicted!”, around the middle of next month. Storyboard by Luther McLaurin and Cole Sanchez.